ammo is controlled in hudlayout.res called "HudWeaponAmmo"
health is controlled in hudplayerhealth.res and is called "HudPlayerHealth"
What are the files to edit the demoman charge meters? And how do I move around the stickybomb counter? A problem with tournament ready mode in Yahud CX, the player boxes are not filled up completely on one of the teams (1st pic), but on the very similar Yahud CMYK there's no such problem (2nd pic). What file should I look into to fix the problem? @martinhrt, it's the borders in ClientScheme.res which get a different image defined, the CX has an override/custom image where the right half of the image is transparent, so it looks nice in the playerpanels in HudTournament.res (also blue/red should be inconsistent there) where that same image is also in blue available for CMYK. Borders to look at: TFFatLineBorderBlueBG & TFFatLineBorderRedBG and the images they reference. Borders to look at: [i]TFFatLineBorderBlueBG[/i] & [i]TFFatLineBorderRedBG[/i] and the images they reference. 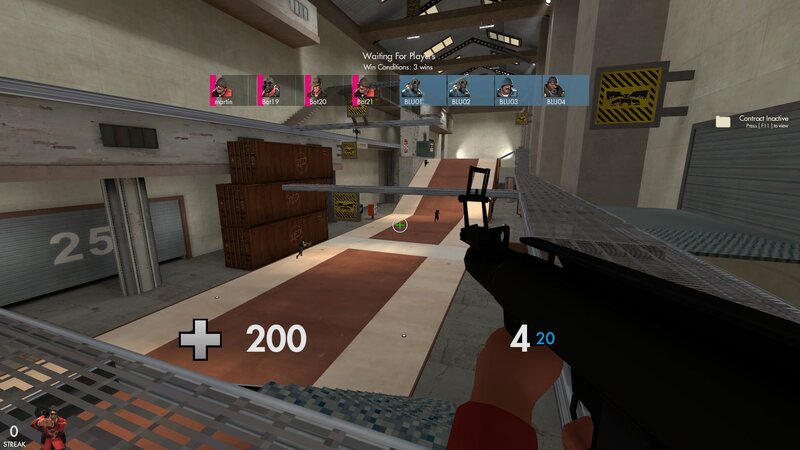 wondering also how to remove killstreaks at the top of my screen such as "killing spree" and "god-like"
that's done with hudanimations in the HudHealthBonusPulse and HudHealthDyingPulse events. that's done with hudanimations in the [i]HudHealthBonusPulse[/i] and [i]HudHealthDyingPulse[/i] events. Anyone know the file that controls the casual class image bar? YellowIceWhat are the files to edit the demoman charge meters? And how do I move around the stickybomb counter? I Wanted to try out another CFG and I didnt like it so i removed it and returned my normal one back but now after I returned my initial one my hud is zoomed out and some in game settings are completely changed. When I open the console, the text is very small seems zoomed out. Wiethoofd@martinhrt, it's the borders in ClientScheme.res which get a different image defined, the CX has an override/custom image where the right half of the image is transparent, so it looks nice in the playerpanels in HudTournament.res (also blue/red should be inconsistent there) where that same image is also in blue available for CMYK. thank you so much for your detailed anwer, now it's similar to CMYK version for me, but is it possible to make both blu and red boxes semi-transparent? [quote=Wiethoofd]@martinhrt, it's the borders in ClientScheme.res which get a different image defined, the CX has an override/custom image where the right half of the image is transparent, so it looks nice in the playerpanels in HudTournament.res (also blue/red should be inconsistent there) where that same image is also in blue available for CMYK. Hey so I'm trying to add a health cross to Hypnotizes updated version of omp hud but it does not work for me? Any answers would be appreciated. Take a look at WietHUD's weapon skins and regular backpack border overrides to make them a single color instead of just the outline for the majority if not all of the border names you would have to edit. In addition to that: showschemevisualizer clientscheme in console allows you to see borders/fonts/colors which have been defined in the clientscheme for a nifty overview. Take a look at WietHUD's [url=https://github.com/Wiethoofd/WietHUD/blob/master/alternatives/solid_skin_backgrounds.res]weapon skins[/url] and [url=https://github.com/Wiethoofd/WietHUD/blob/master/alternatives/solid_item_backgrounds.res]regular backpack border[/url] overrides to make them a single color instead of just the outline for the majority if not all of the border names you would have to edit. In addition to that: [i]showschemevisualizer clientscheme[/i] in console allows you to see borders/fonts/colors which have been defined in the clientscheme for a nifty overview. 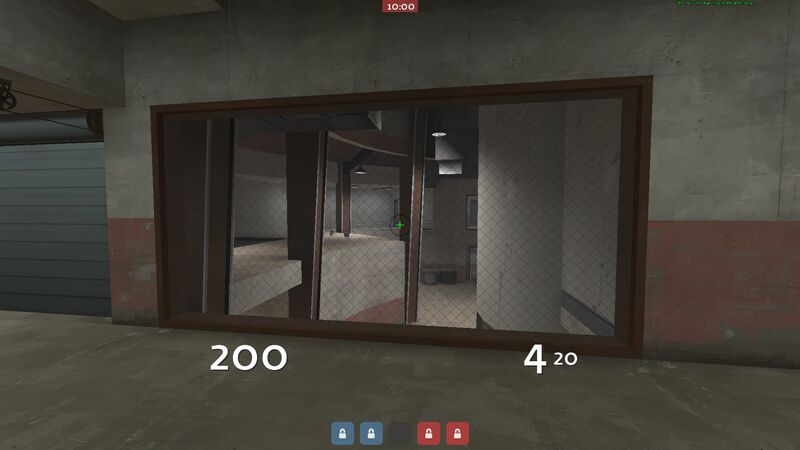 how do i use the server time left instead of the round time left on a hud, i've tried it myself but i cant seem to get it to work on the main hud instead of the scoreboard? Vourihow do i use the server time left instead of the round time left on a hud, i've tried it myself but i cant seem to get it to work on the main hud instead of the scoreboard? [quote=Vouri]how do i use the server time left instead of the round time left on a hud, i've tried it myself but i cant seem to get it to work on the main hud instead of the scoreboard? 1) Which HUD contains the uber effect meter like on this video? Woolen doesn't release it but it's originally some version of yaHUD, probably someone knows? 2) My main menu is default (gamemenu.res and mainmenuoverrides.res are removed) but there are little black-ish bars of different thinkness between the buttons (marked in bottom right). What should I look into in clientscheme (?) to try and fix it? Thanks! have you typed tf_hud_showservertimelimit 1 into the console or executed file? how would i change this to this? how would i change [url=https://imgur.com/a/1Uszz]this[/url] to [url=https://imgur.com/a/Nkh3j]this[/url]?